Having over 13 years of experience in commercial real estate, Bryant Hoover serves as a Senior Associate at Matthews Real Estate Investment Services. Bryant works directly with developers, private capital and institutional investors nationwide in the disposition and acquisitions of real estate holdings. Prior to joining Matthews™, Bryant worked as an Investment Advisor with a nationally recognized net leased boutique brokerage firm. Throughout his tenure, Bryant worked with national franchise operators and build-to-suit developers. 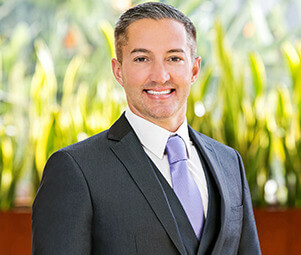 He successfully created several win-win scenarios in which he structured sales leasebacks, allowing his clients to offload their real estate while running their day-to-day operations. Previous to investment sales, Hoover owned and operated a Federally Chartered Net Branch generating loans in all 50 states along with technical consulting for Fortune 500 companies.